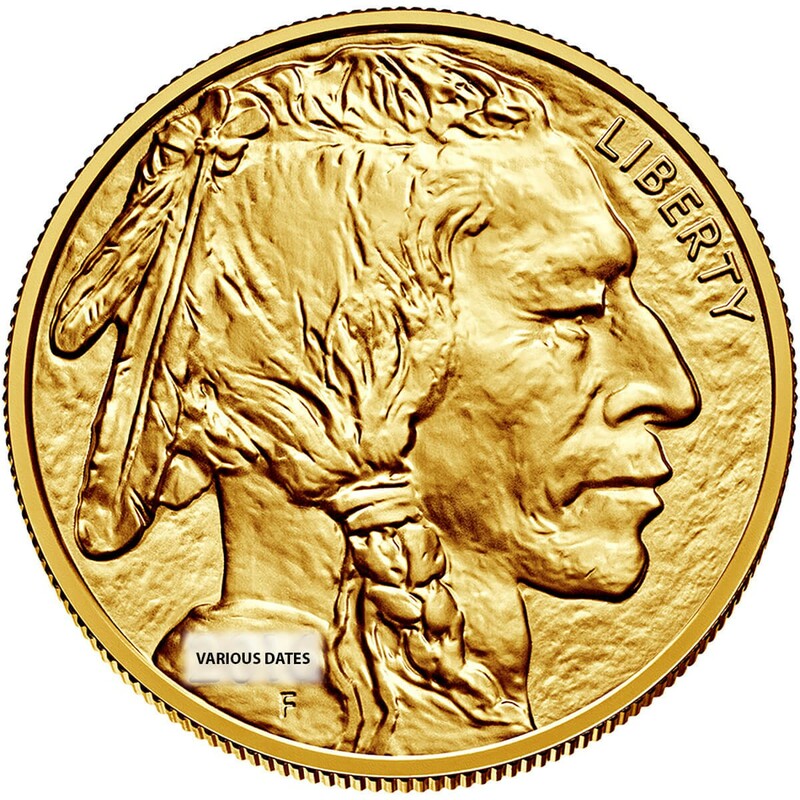 The 1 Ounce Gold Buffalo is the younger sibling of the Gold Eagle. 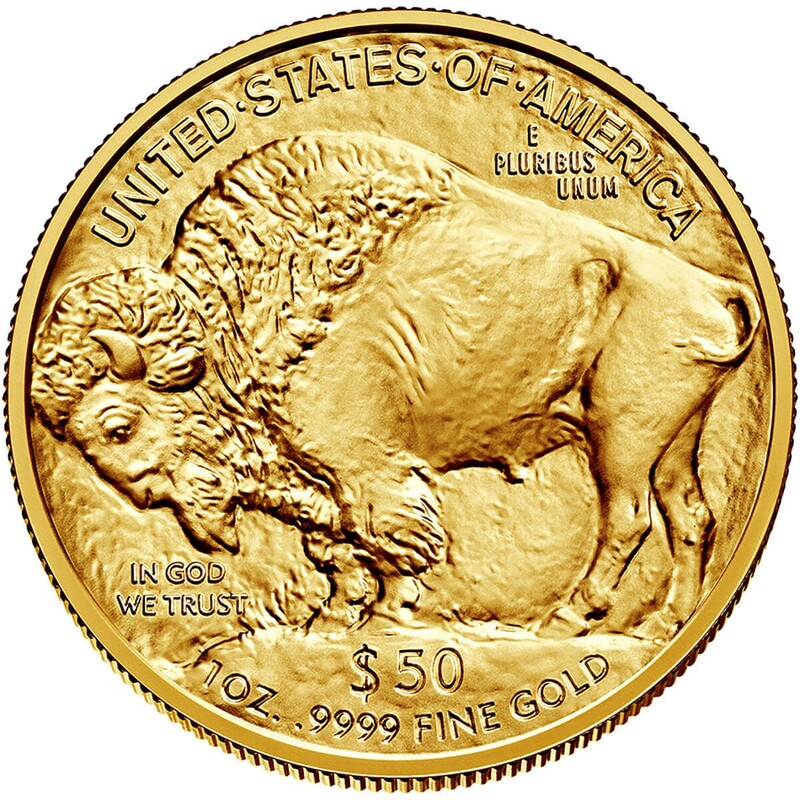 Introduced in 2006, the Buffalo is composed of 99.99% pure gold. In a throwback to the Buffalo Nickel, it features an Indian in profile on the face, and the namesake Buffalo on the reverse, as well as its nominal $50 face value and weight. 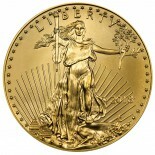 The Buffalo has been a popular coin since its introduction for investors who prefer pure gold bullion. 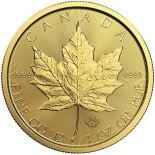 These coins will be minted anywhere between 2006 and the present.